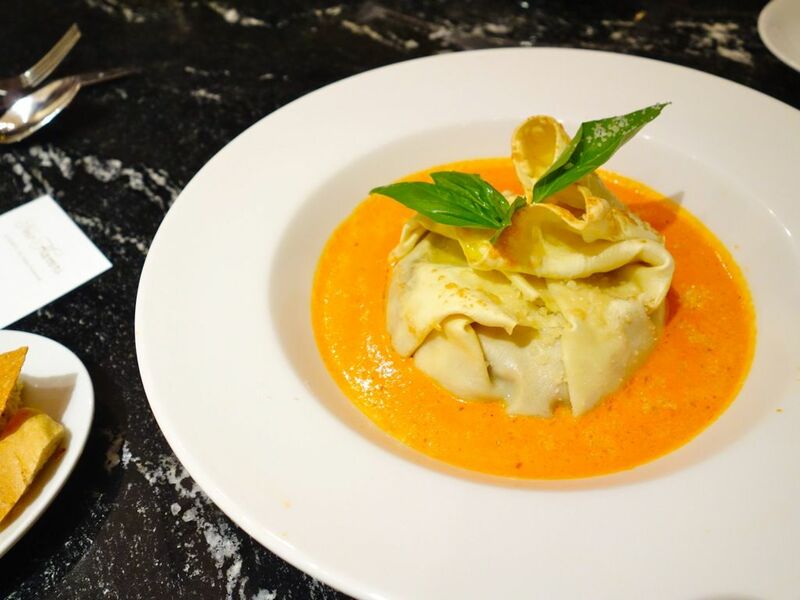 DOMVS, The Italian Restaurant at Sheraton Tower Singapore is showcasing a new menu which plays on the classic Italian flavors. Sure I've been to tea at and dinner at Li Bai (read review here) but I didn't even noticed that there's an Italian restaurant in the hotel! So anyhoo, here is what we tasted. 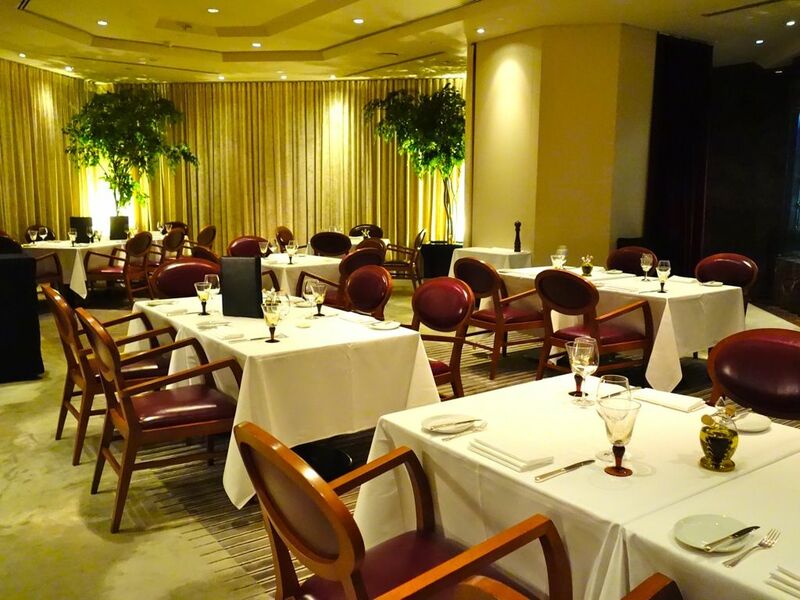 I liked that the restaurant has ample space between dining tables so that one can dine in peace. There's certainly a posh feel to the restaurant. Starting with appetizers. 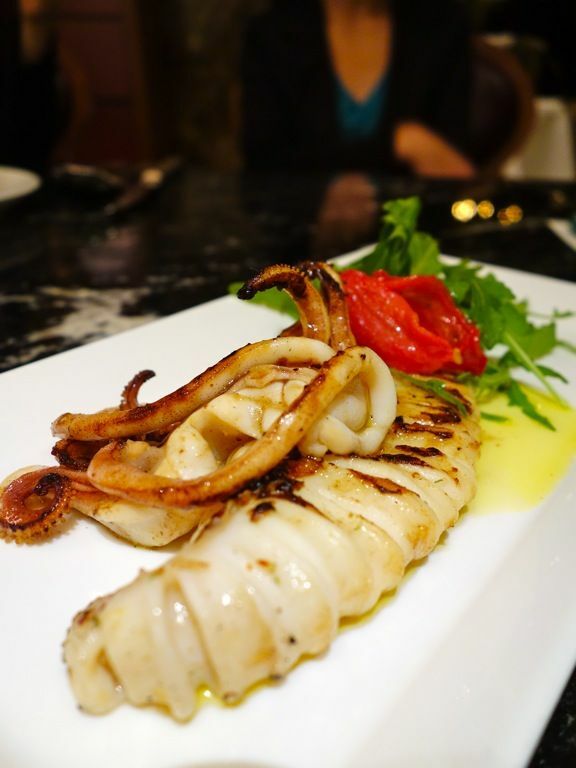 I didn't expect much from a grilled squid ($22) dish but was delighted by this one. I maintain that fresh seafood should be done simply and seasoned lightly. And this was really fresh and I loved that char on the tentacles. The Vongole ($22) was also another favorite seafood dish that night. 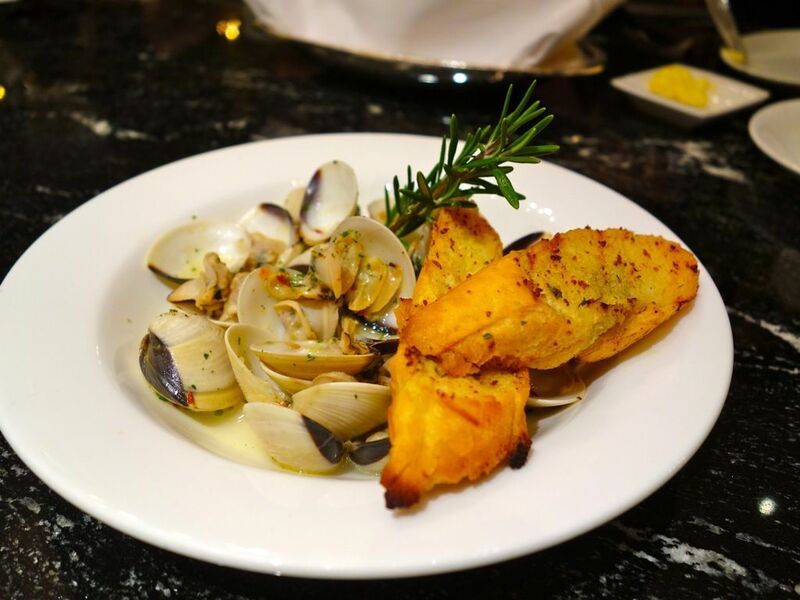 The best way to eat this white wine clams? Remove all meat and dispose all shells before digging in. Delayed gratification worked extremely well. Make sure you dunk the garlic toast in too. Soo gooood! I wasn't too impressed with the Wagyu Beef Carpaccio ($25) which was really bland. I couldn't even taste much of the beef. 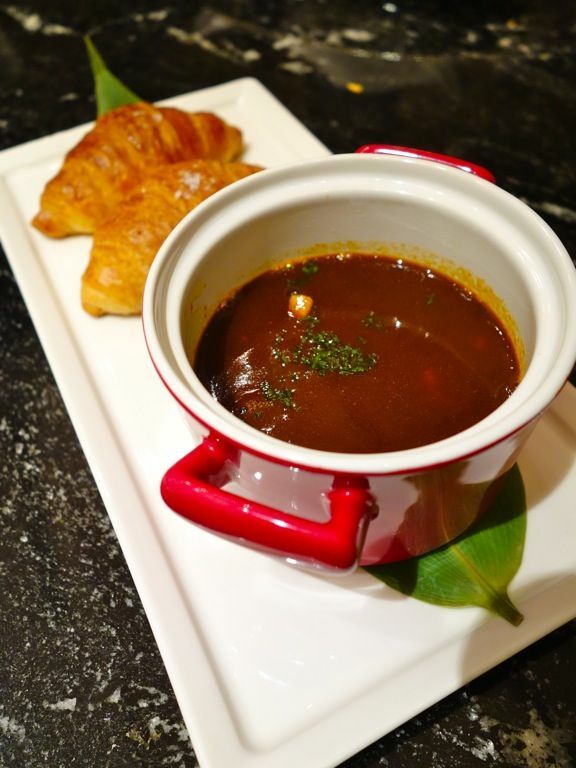 Lobster Bisque ($28) was a good choice with rich crustacean flavors and chunks of lobster. Gotta say that the freshly baked croissants took some of that limelight away from the seafood stew. 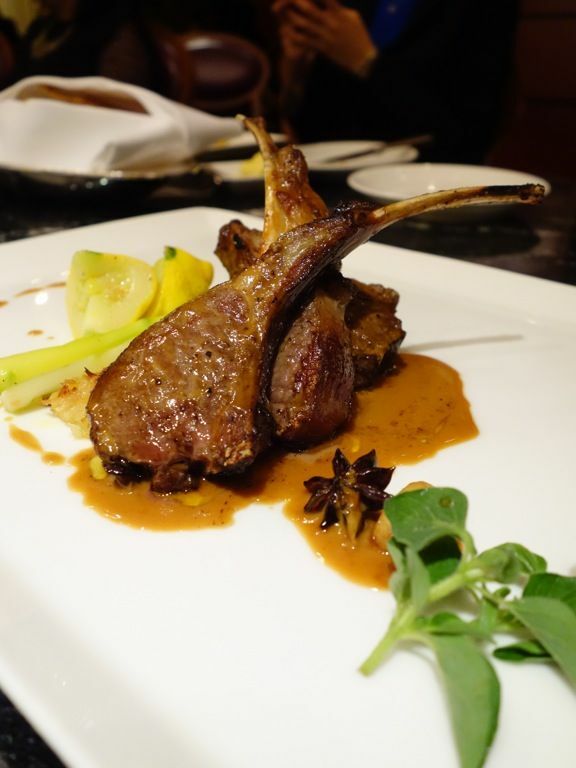 My favorite main course was the succulent Lamb Chop ($48) doused in a coffee sauce which isn't too overpowering. Beef Lasagna ($36) had an interesting presentation. Each slice is made individually and baked in a giant pasta sheet which kept the lasagne moist. I thought the dish could do with a more acidic meat sauce. 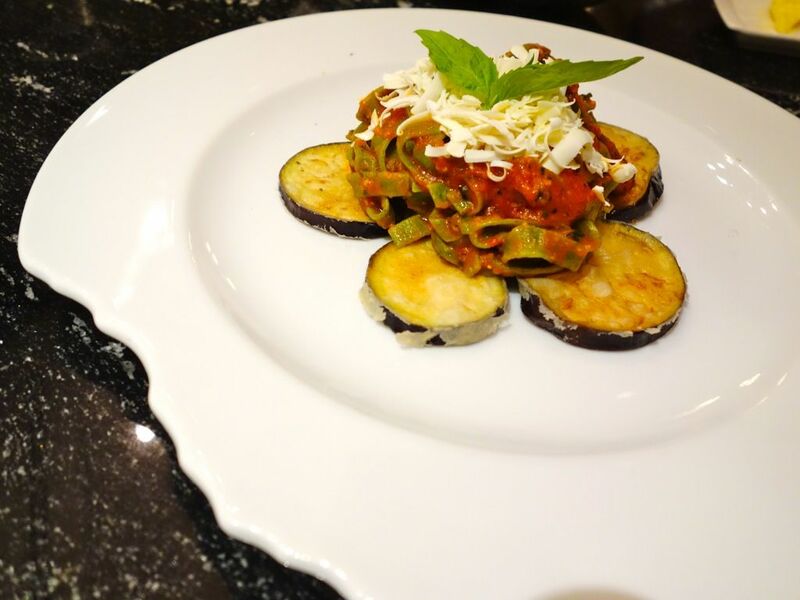 The Homemade Basil Tagliatelle ($32) was served al dente atop a delectable bed of fried Eggplant. The homemade pasta was cooked with a slightly piquant Tomato Sauce and topped with salted Ricotta cheese. The dish was kinda bland for me as the basil flavor didn't quite come out. I enjoyed the eggplant the most in this dish. Duo Seafood ($60) was a motley crew of poached Boston Lobster, battered Red Garoupa and Italian Rice in a Tomato Seafood broth. The presentation confused me and did nothing to enhance the flavors. The garoupa went to waste with that deep frying imo. We tried 3 desserts, the Salted Crème Caramel ($18), Strawberry Tiramisu ($18) and Banana Strudel ($18), of which only the banana strudel impressed me. Banana isn't my typical choice for a dessert as i thought it to be too heavy but this was surprisingly light, even after all that feasting. 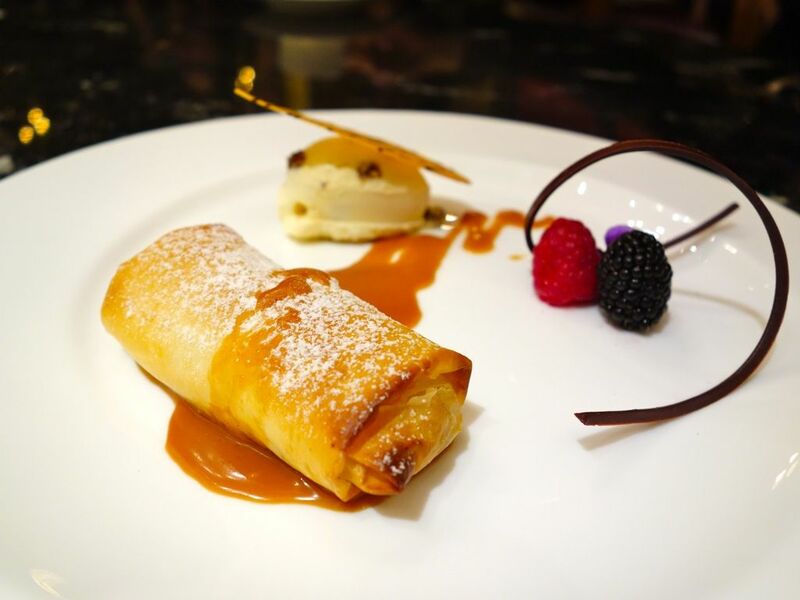 The thin and crispy filo pastry is certainly worth a mention. The other desserts were too sweet for me. 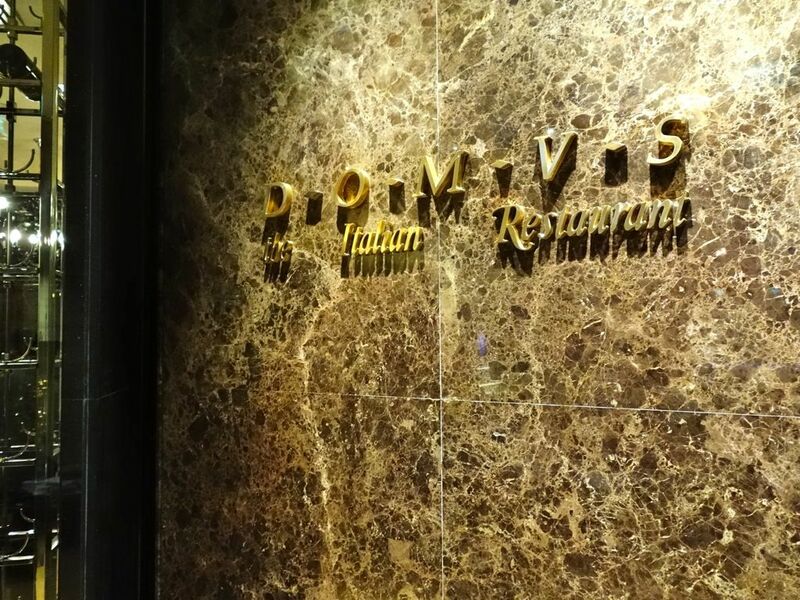 Hits and misses at DOMVS but i guess with the extensive choices, the overall experience wouldn't be too bad. 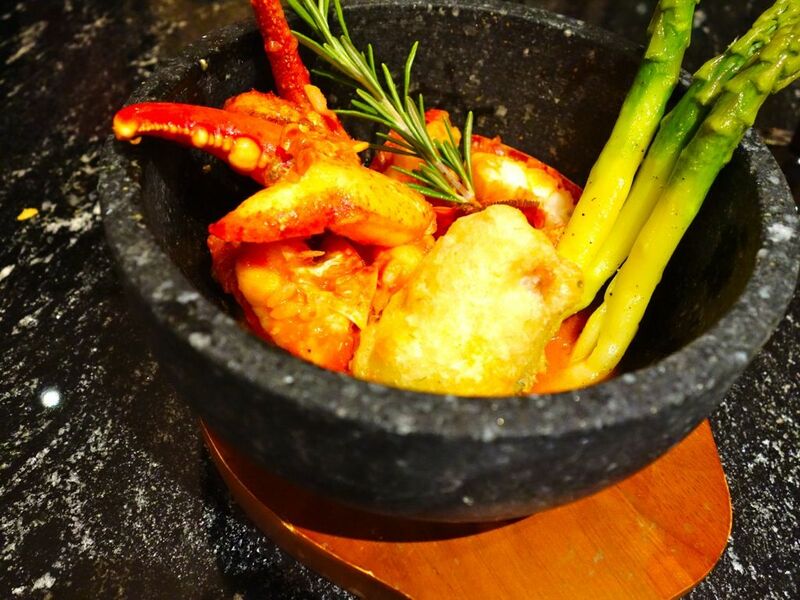 An affordable three-course Executive Set Lunch, priced at $42/pax is also available.